Red Nation Television Network – Native is Here, a Red Nation Media Broadcasting Network established in 2006, the first American Indian & Indigenous Television Channel. WATCH RNTV 24/7 Your Number One Source from the Native Perspective – Any Time Any Where on Any Device . 100% American Indian Owned. RNTV broadcasting from the heart of Indian Country and the Entertainment Industry. 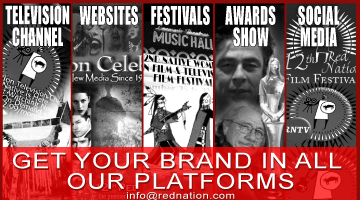 Watch Red Nation Television Network | Native is Here….. 24/7 Internet WORLDWIDE Channel. AnyTime, AnyWhere, Any Device! Your Number One Source from the Native Perspective. 100% American Indian Owned. In 2011, RNTV reached 10 million viewers; and is in 37 countries. RNTV is growing daily. Stay Connected, currently, over the holiday season 2014, RNTV is uploading over 150 titles of programing from originals, trending news feeds, a television series, feature films, sit-com series, native women’s talk show, specials and children’s programing. Red Nation Television Network (RNTV) is the first of its kind. Red Nation Television Network is the pioneer television channel for native content. Established in 2006, as being the first American Indian & Indigenous Channel, three months before the major networks announced their launch of programming on internet. First there was Netflix, then Red Nation Television Channel, then Hulu. Red Nation Television Network-Native is here is 24/7 high definition (HD) multi platform digital media vehicle, being the largest native content provider. In 2011, RNTV reached 10 million viewers; and is in 37 countries. RNTV is growing daily. Stay Connected, currently, RNTV is uploading over 250 titles of programing from originals, new news feeds, a television series, feature films, sit-com series, specials and children’s programing. RNTV is inarguably the nation’s premier source of American Indian & Indigenous programming. Reaching millions internationally. Red Nation Television Network-Native is Here, is a provider of on-demand Internet streaming media available to viewers in all of North America and South America, except Cuba, and parts of Europe (Denmark, Finland, Ireland, The Netherlands, Norway, Sweden, United Kingdom, France, Switzerland, Austria, Belgium, and Germany), The company was established in 2006 and is headquartered in Los Angeles, California. By 2011, Red Nation Television Channel (RNTV) offering a collection of 200 titles and had surpassed 10 million viewers, in 37 countries WORLDWIDE. RNTV started its subscription-based service in 2014. 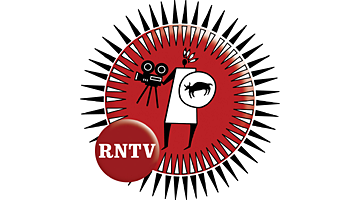 On November 12, 2014, RNTV launched a LIVE BROADCAST of the FIRST televised American Indian Awards Show. RNCI Red Nation Awards. RNTV is the first general public, multimedia venture not only in the United States but internationally WORLDWIDE. 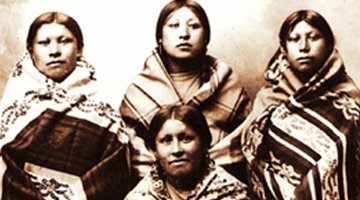 RNTV showcases the lives and cultures of American Indian and indigenous peoples around the world. RNTV serves not only the second largest market in the United States including 10 million viewers internationally and in 37 countries on the internet WORLDWIDE. RNTV broadcasts from the The Romero Company, an Indigenous Film Studio in Los Angeles CA. RNTV leads the way as a U.S. producer and national and global exhibitor via the Internet and plans to expand over-the air, satellite and cable broadcast systems of the authentic voice of First Nations storytelling. Programming comprises on a varying of genres including documentaries, shorts, talk shows, children series, sports, feature films, drama series, set-com series, news, comedy, film festival, awards show, music videos and fashion. Experience Red Nation Television Network – Your Number One Source from the Native Perspective. 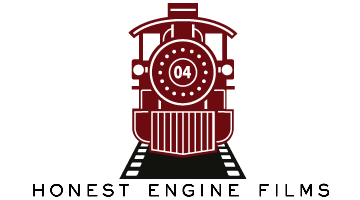 100% American Indian Owned & Operated.